The holiday season has finally arrived, and the Hudson County real estate market is still buzzing despite the cold weather. For those of you who haven’t read over the latest market report, be sure to check it out in order to stay up to date on all of the latest trends and numbers in the area. Before we get into the latest numbers on condo sales in Hudson County, let’s go over a quick rundown of the past numbers. In Hoboken, the average sales value for October 2018 increased 6.49% since last October, now standing at $854,772. 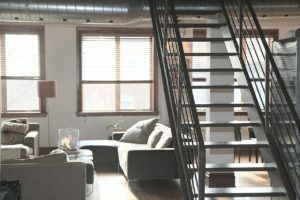 In Jersey City, the average sales value for October 2018 decreased 2.2% since last October, now standing at $787,595. Curious about what the top-selling Hudson County condos went for in October? Browse a few of the highest sales over the past month, and see how your property compares. 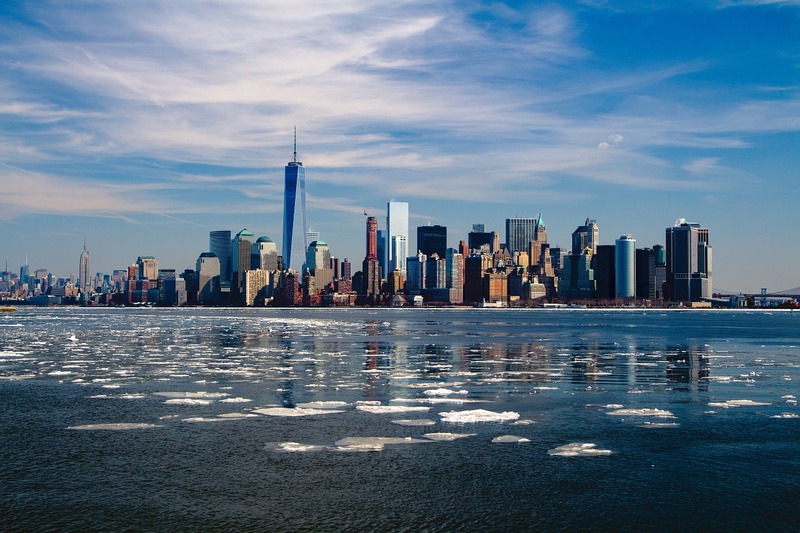 There’s never been a better time to invest in Hudson County real estate, so make sure you stay up to date with all of my latest market reports. 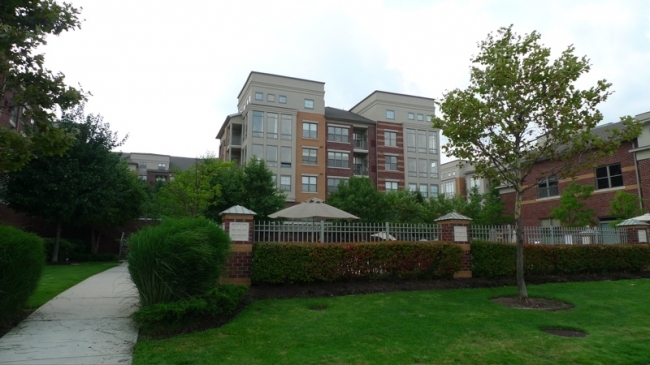 Hoboken’s premier luxury waterfront residence! This 2 bedroom/2.5 bath + 2 Den 1947 sq. ft. home features a chef’s kitchen with custom cabinets, stainless appliances and granite counters. Living/dining room boasts over-size windows offering an abundance of light, NYC and Hudson River views and a private terrace. Hardwood floors throughout, recessed lighting, high ceilings and generous closet storage is sure to please. Building amenities include a 24 hr concierge, 2 gyms, community room with panoramic NYC views, billiards room, stadium seating theater room, rooftop gardens with BBQs and 2 swimming pools! Extraordinary three bedroom and two-and-a-half bath duplex penthouse condo with 1976 square feet, a private rooftop terrace and parking for one car, ideally located in downtown Jersey City’s historic Van Vorst Park district only five minutes from the Grove Street PATH station. The first level consists of three bedrooms and two full baths with the massive master suite featuring a walk-in closet with custom build-outs and a gorgeous master bath double sinks surrounded by marble with a frameless glass shower enclosure. Designed to maximize sunlight, the upper level of this modern home features a 23-foot-wide open living and dining area, a half bath and a stunning custom kitchen with southern exposure that opens up to a 400 square foot private rooftop terrace with wood decking and remarkable views of the Jersey City and Manhattan skylines. The well-designed chef’s kitchen is highlighted by Decora cabinetry, a marble backsplash, an oversized marble waterfall island countertop with dual hammered copper sinks, and top-of-the-line Bosch stainless steel appliances. 265 York Street is located on a quiet tree-lined street adjacent to beautiful Van Vorst Park, around the corner from Grove Street’s shopping and dining options and only minutes from Jersey City’s recently expanded Newark Avenue restaurant row. New construction 3BR/ 3FBR , 1828sf home. Just steps away from the NY Waterway Ferry Terminal offering a stress-free 8 min. ride to Midtown Manhattan as well as routes to Pier 11 at Wall St. and World Financial Center. Redefining modern luxury and style, with upscale interior finishes, private balconies and terraces maximizing majestic NYC views. Exceptional amenity package features a spectacular lobby with 24 hour concierge, grand salon, private screening theater, business center, boardroom, Avora lounge with bar, private dining and catering kitchen, pet spa, and state of the art strength and cardio fitness center. Landscaped outdoor plaza including a pool, spacious sun deck, lounges, grilling areas and fire pits on the Hudson River waterfront with unparalleled views! The most premier and luxurious new construction building along the NJ Gold Coast. This beautifully designed luxury building features breathtaking views of NYC, resort-style amenities, and floor plans that fit even the most discerning buyer. 1,879 SqFt with 3 Bedrooms + Den / 3 Bathrooms, Northern exposure, balcony and garage parking. The expansive kitchen includes Aspen quartz countertops, Pedini cabinets, Bosch appliances, and Thermador fridge. Wood flooring throughout, in-unit washer/dryer, expansive closet space and oversized windows allowing for sunlight all day. The building features 24 hour doorman, state-of-the-art fitness center, amenity deck with infinity swimming pool and BBQ area, rooftop deck with cabanas, shuttle to/from Ferry, and a 20 year tax abatement program. 1428 square feet, 3 bedrooms, 2 1/2 baths with a balcony the width of the unit possesses an “Insane view!” This beautiful condominium also includes 2 deeded parking spots located immediately in front of the home. The building has been upgraded in the past two years with a new roof over a majority of the building, new stucco exterior, virtual doorman system, and recording video surveillance system. The appliances were all installed by the current owners in the last three years including a brand new water heater. 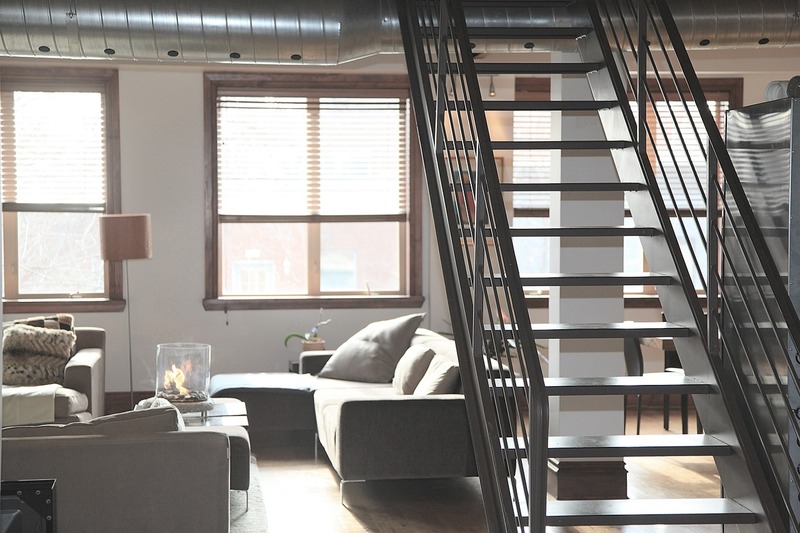 The condo owners are engaged and proactive in their management and care of the building. A dog park, sports complex, public park, 24 hour bakery, restaurants and stores are only blocks away. Transportation into the city is easy and fast with a 20 to 25 minute average bus trip from 3rd and Palisade Ave to Port Authority. One of the most luxury buildings in NJ! Spectacular views of Hudson River and NYC. Full height curved glass windows – floor to 9ft ceiling. Gourmet kitchen with granite countertop and stainless steel appliances. Luxurious marble bathrooms with Koehler vanities. Hardwood floor, laundry room and inside residence. Climate control heat/ac setting. Deeded parking space. Transportation to ferry, light rail and buses at doorstep ­only 15 min to NYC. Amazing building with all world class facilities ­ indoor and outdoor pool, theater, golf room, state of art gym equipment, sauna, yoga room and more! 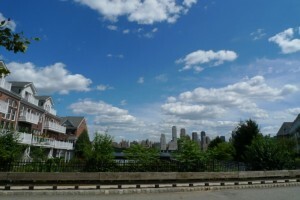 Renovated 2 bedroom 2 1/2 bathroom on the Hudson River with river and city views! 1 car garage with 1 off street parking. Brand new stainless steel appliances and quartz countertops. High ceilings, oversize windows and huge sliding doors to a patio across away from the water on the ground floor. Generous master bedroom and en-suite bathroom and large walk-in closet alongside the second bathroom and second full bath. Close to transportation, shopping, restaurants and Starbucks is across the road! Complex boasts 24 hour security, 2 pools, 2 jacuzzis and a free shuttle to the ferry! Bright and sunny New Construction townhouse with ALL THE BELLS AND WHISTLES.! It features 2800 sq. ft., 3BR/ 3.5FBR on three levels. Modern open floor plan with Oak hardwood floors throughout. Designer kitchen, fully tiled bathrooms and a lovely back yard, all conveniently located close to shopping, parks, restaurants and NJ Transit buses and trains. No monthly maintenance fees and a two car garage. Nicely maintained in hues that add warmth and character to this spacious townhouse with 3 levels of living space on a private waterfront community in beautiful Bayonne. Gleaming hardwood floors on 1st level. The spacious master bedroom is welcoming with vaulted ceilings and ensuite bath with deep jetted tub, shower stall and dual vanity. Entertaining is easy on the ground level family room / den created for a game of pool and relaxing after a long day. Boatworks is a friendly townhouse community of 160 homes, a boardwalk for evening strolls and an outdoor pool for swimming & lounging. 8 mins to 8th St. Light Rail with connections to PATH to NYC. Buses to Journal Square, Jersey City downtown, and NYC a few minutes away. This exclusive two bedroom residences has a 340 sf balcony with spectacular views of Manhattan. This home includes large oversized Marvin windows, spacious large balconies, 9 1/2 ft. ceilings, gourmet kitchens including Subzero, Wolf,Bosch, and Miele stainless steel appliances, spa-­like bathrooms, Smart Home features, Caesar stone countertops, and premium Kohler fixtures. Amenities include a Manhattan-­facing outdoor heated swimming pool, expansive deck with cabana areas, rooftop deck, fire pit, state­-of­-the­-art fitness center, movie theater ,reception room, children playground, screening room, Riverwalk Park featuring private pier, concierge services, private ferry shuttle & NYC Bus, nearby restaurants & supermarket. If you’re interested in pursuing a profit in the Hudson County real estate market, let my team and I help you navigate all of the latest trends. With years of local experience and expertise buying and selling luxury properties in the Hudson County area, we will work to make your real estate experience as stress-free as possible. Browse our site to find a number of specialized tools, the latest sales data for condos in the various communities, and a form to request a complimentary market analysis for your home. Want to learn more? Contact our team today, and prepare to embark on your real estate journey when you list your property with the Living on the Hudson Team.